Genetic variants in embryonic lethal, abnormal vision, Drosophila-like 4 (ELAVL4) have been reported to be associated with onset age of Parkinson disease (PD) or risk for PD affection in Caucasian populations. In the current study we genotyped three single nucleotide polymorphisms in ELAVL4 in a Caucasian study sample consisting of 712 PD patients and 312 unrelated controls from the GenePD study. The minor allele of rs967582 was associated with increased risk of PD (odds ratio = 1.46, nominal P value = 0.011) in the GenePD population. 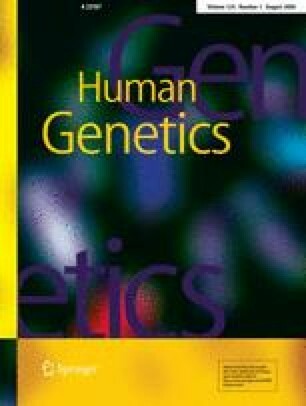 The minor allele of rs967582 was also the risk allele for PD affection or earlier onset age in the previously studied populations. This replication of association with rs967582 in a third cohort further implicates ELAVL4 as a PD susceptibility gene.